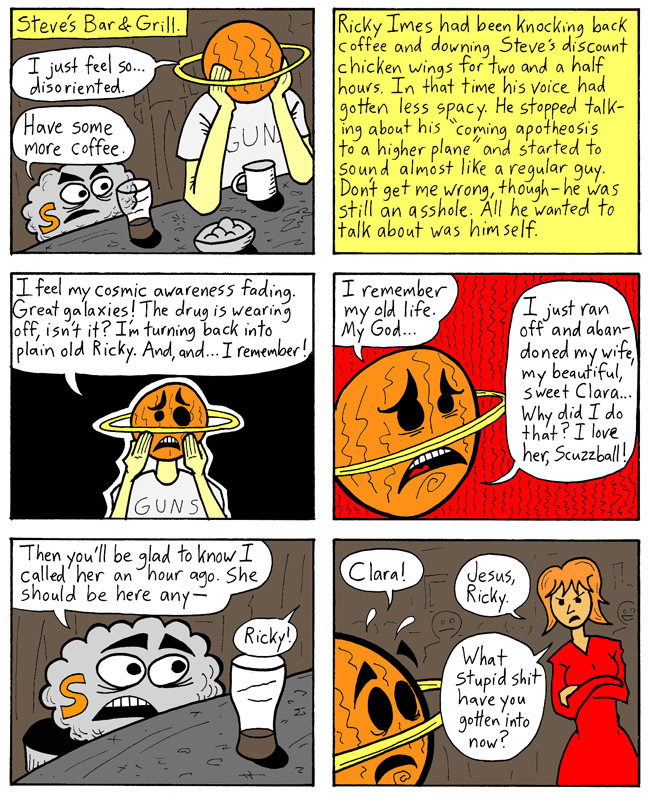 I had imagined a much longer conversation between Scuzzball and Ricky, but the six panel grid is a harsh mistress. Oh well, you get the idea. NEXT WEEK! The thrilling conclusion! Will Ricky sign the divorce papers? Tune in and find out!